Suitable for engine applications in trucks, power generation, construction, agricultural machines, and general industrial equipment, our line of high-performance silicone hoses, organic hoses, and molded rubber parts are the solution you've been looking for. 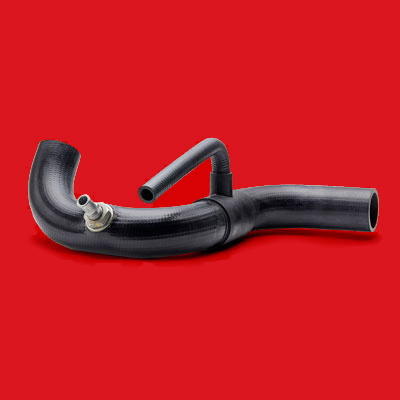 All of our custom molded rubber parts and high-performance hoses are engineered to meet manufacturer specifications for pressure, temperature, flexibility, and air and fluid distribution. 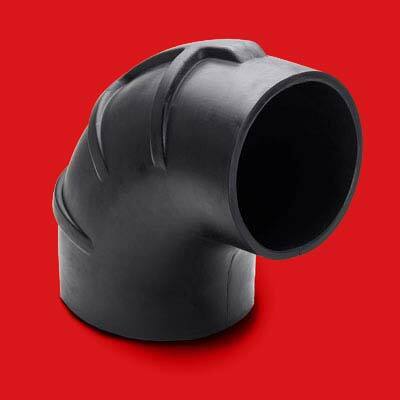 We are the exclusive North American distributor for molded rubber parts and hoses for Polybond India. To find out more information about our distributorship with Polybond, read our press release. Polybond's silicone hoses are engineered to meet specifications for pressure, temperature, flexibility, and air and fluid transmission. Silicone hoses offer more flexibility, resilience, temperature and weather resistance than other types of hoses. 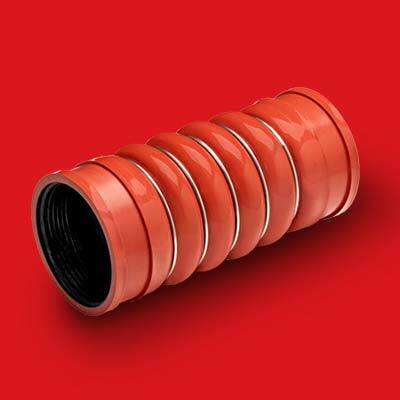 Because of their resistance to rain, snow, heat, humidity, drought, UV rays, and the ozone, silicone hoses provide users with a long lifespan on top of excellence noise and vibration control. Engineered from extruded organic rubbers, Polybond's hoses are engineered to meet specifications for pressure, temperature, flexibility, and air and fluid transmission. Organic rubber is a versatile material that combines high tensile and tear strength with exceptional resistance to fatigue. Developed from a variety of polymers, Polybond's molded rubber parts are designed for engine applications for air and fluid transmission. Rubber formulations are designed to meet OEM specifications. Sometimes a unique problem calls for a bold, innovative solution. Overmolding provides manufacturers the ability to improve the thermal control, noise-reduction, aesthetics, and efficiency of equipment. By covering hoses, pipes, and valve covers with custom molded foam, OEMs can improve the energy management of their equipment from the inside out. Custom molded foam solutions can also be used to secure wires, valves, and electronics in place inside a piece of equipment, eliminating unnecessary parts and assembly time. Start thinking forward with a custom solution and see our custom molded foam materials. Contact us today, and we will work with you to develop a custom solution.